Visit Littlehampton’s official tourism website and you won’t find a single mention of its most famous attraction apart from a coy reference to ‘stunning architecture’ and an image or two. Perhaps it’s a measure of how deeply the East Beach Café Littlehampton has divided public opinion in the town, that the council isn’t shouting from the rooftops about the iconic building which has won it a handful of accolades, including Vogue’s “coolest seaside resort” award. The inspiration for the design was a piece of driftwood and it references many nautical shapes – sand dunes, waves and rocks. Step inside and the interior feels like the kind of snug cave you might stumble upon at the side of a windswept beach. Made from mild steel, rusted and coated in a special oil to protect it from the elements, it is a giant jigsaw of hundreds of flat ribbons of steel, built over nine months by two men. The food at the East Beach Café uses its muse of the sea to inspire the food. The menu is mercifully brief, generally featuring six starters, mains and desserts plus some imaginative specials on the board. 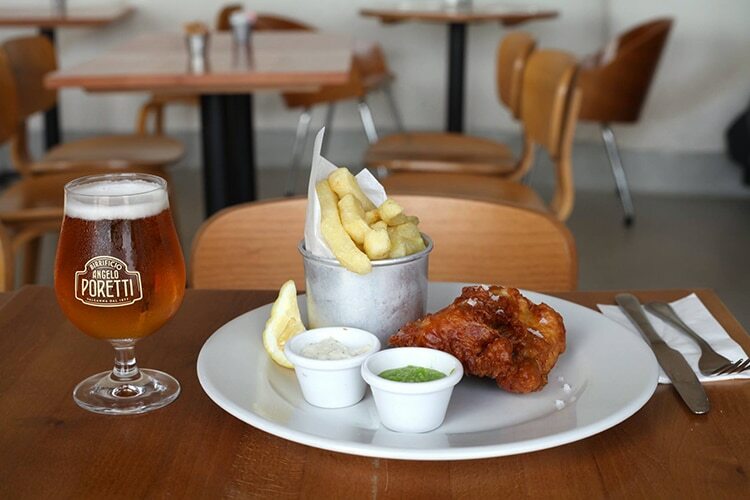 The emphasis is on fresh fish and locally sourced produce, cooked in a style that lets the quality shine through. The Ritz trained kitchen team produce a standard of food that is fit for such an amazing setting. 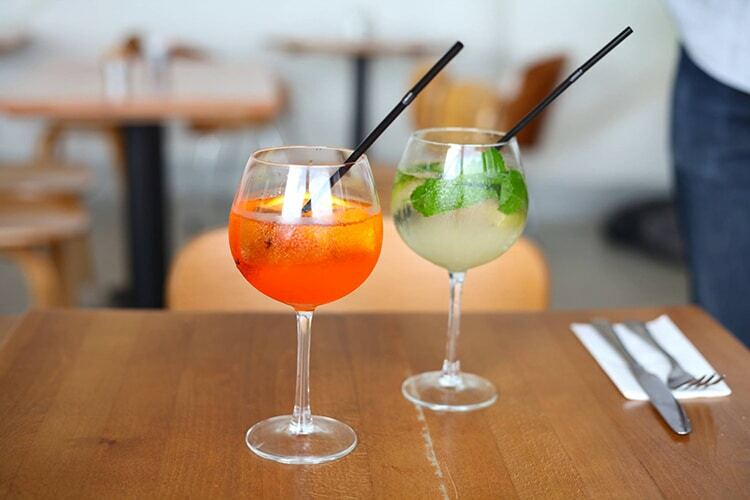 Classic dishes are presented with superb style and elegance, not something that you would come to expect from a beach front café in Littlehampton. 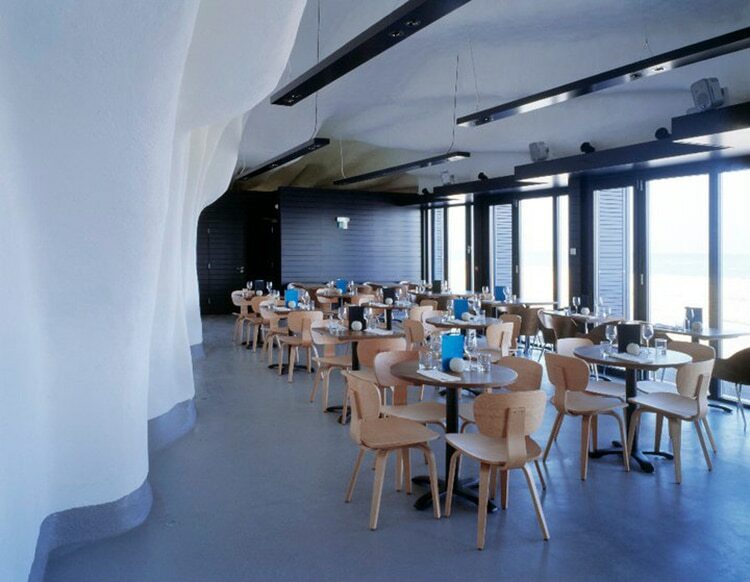 East Beach Cafe was completed in June 2007 and has since won more than twenty national and international awards for design, architecture, steelwork, craftsmanship and engineering. Not dissimilar to the hull of a ship, it is a self-supporting structure and is an extremely complicated piece of engineering. The whole process from commissioning the architect, Thomas Heatherwick, to completion took 18 months. 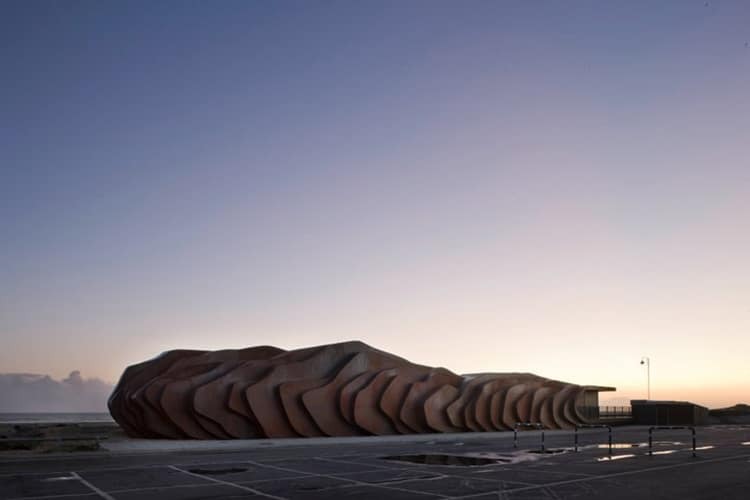 Thomas heads one of the world’s leading design practices and was described recently by The Times as “the most creative mind in Britain”, the East Beach Cafe was his first UK building.